The contest to win nine places on Labour’s national executive committee has opened. 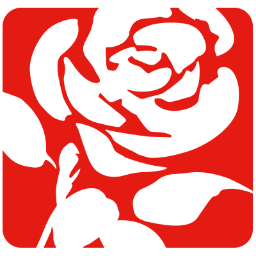 Constituency Labour Party (CLP) candidates must be nominated by at least five CLPs to earn a place on the ballot. Other nominations received are treated as supporting nominations. Each CLP can make up to nine nominations. Although the nominations aren’t binding, they are often indicative of the final result. The nine CLP representatives (including at least four women), to be elected before party conference, will serve terms of two years from October 2018. Ann Henderson, Claudia Webbe, Darren Williams, Huda Elmi, Jon Lansman, Nav Mishra, Pete Willsman, Rachel Garnham and Yasmine Dar are on the Momentum/Campaign for Labour Party Democracy/Centre Left Grass Roots Alliance slate. Eda Cazimoglu, Gurinder Singh Josan, Heather Peto, Jasmin Beckett, Johanna Baxter, Lisa Banes, Luke Akehurst, Marianna Masters, Mary Wimbury are on the Progress/Labour First slate. Ann Black is being supported by ‘soft left’ group Open Labour.